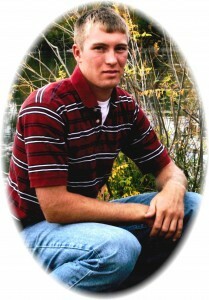 Jason, 24, of Schuyler, died Tuesday in a motor vehicle accident northwest of Schuyler. Saturday, April 16, 2016 10:00 A. M.
Visitation Friday 3-7 P.M. Rosary 7 P.M. He is survived by his mother. Linda Saalfeld of North Bend, father, Don Saalfeld of David City, three brothers, Steven of Davenport, Iowa, Michael and his wife Holly of Omaha, Craig and his wife Alex of Seward, grandmother, Lillian Saalfeld of Schuyler and many aunts, uncles, cousins and friends. Jason was preceded in death by his grandparents, Adolph Saalfeld, Vincent and Ruth Fendrick.